There’s nothing like getting a brand new piece of technology and not understanding how to make it work. When I got my HP 1920 series switch, I consoled into it and was promptly faced with a login prompt asking me for a username and password. After trying all of the options I am used to for switches I tried to find it online. It took me a good while before I could locate a manual that had the precious information. That is for enabling system-view. Nice! Thanks for sharing Peter. i need a vps with windows server 12 r2,please help me.or download it. 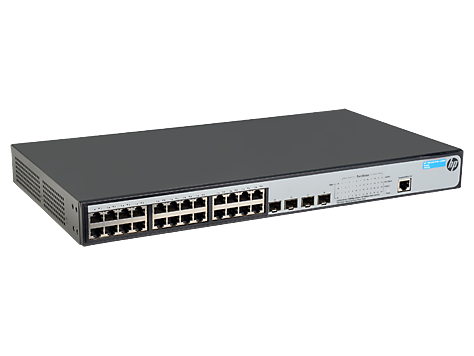 and you can change the password in HP 1920-24G-PoE + (180W)? Does the password of command line mode able to change , without use Jinhua1920unauthorized ? I was soooo annoyed to face with a username and password that was no where to be found on any of the documentations in the box/bag/labels for the HP 2920 switch. Like yourself I had to search far and wide to find NOTHING out of the HP manuals!!! until I found your post. WHY DON’T they put a small note with the label that says the default IP address is 169.254.6.128!!!! WHY IS THIS SO HARD!!! its not a $50 switch!!! Glad that this helped. There are definitely a few things about the way they do things that don’t seem straight forward. I still love HP Procurve switches though. After given enabling comment _cmdline-mode on and the password is Jinhua1920unauthorized not working properly. HP’s lack of documentation on these switches is infuriating. With the ProCurves, setup is a snap. I’m just now realizing that’s what I should have gone with in the first place. Argh. I know, right? Amazing how they leave out the detail on all of the simple stuff we all need to do, but expand at length on the complicated stuff almost nobody does! How to change the Chinese_language to english language in hp 1920 switch. 169.254.6.128 is not the default ip address of the switch. That is an APIPA address which means the switch attempted to pull an IP address on the connected vlan, and was unable to (probably due to the lack of a dhcp server on the vlan). Otherwise, you would have been able then to look in the DHCP scope and see what address it pulled. The default username and password (admin/) is well documented in the user setup manual, and a quick google search turned up several additional references. Sorry, you had that issue. This switch is marketed as “smart-managed”. The CLI is not supported, and if you use the CLI, you can enable features such as OSPF that will not function properly because the switch does not support it. (Yes, it will originally negotiate, but it does not understand the OSPF hello packets and thus renegotiates every time the dead timer expires, again it does not support OSPF). The CLI is only intended as a troubleshooting tool, not a configuration tool. Yes, you can use it for basic configuration, but that is not recommended. This is not a ProCurve switch, it runs a flavor of Comware. 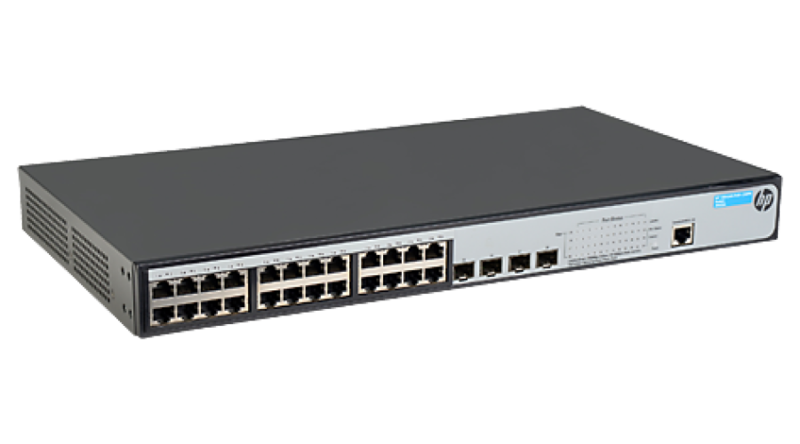 HP supports both switch lines, but they are vastly different. They are however, just as easy to setup if you are familiar with them, and from an end-user perspective, once setup, you cannot tell the difference. I forgot my password. I want to enter the configuration of the switch in graphical mode with IP address. I can reach this, but how can I login? Username: admin, password: something what i forgot. I never did anything like that. I read that a console cable can be used to connect the device to a computer. But how do you do this? Alright, do you have a console cable? This can be a USB to ethernet style cable, serial to ethernet, etc. You can then use putty.exe as your terminal program to get into the switch. Let me know if you have those things and we can go from there. I have a console cable (serial to ethernet). I have putty.exe. Can you help me any further?